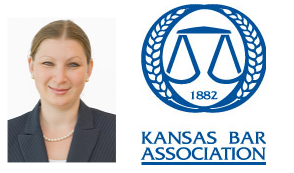 Ms. Mira Mdivani was awarded with the 2015 Pro Bono Award by the Kansas Bar Association. The Pro Bono is given for the delivery of direct legal services, free of charge, to the poor, or in appropriate circumstances, to charitable organizations whose primary purpose is to provide other services to the poor. Mira Mdivani, of Overland Park, is a business immigration attorney at the Mdivani Corporate Immigration Law Firm. Over 10 years ago, Mdivani established a pro bono program at her firm where she and other firm’s business immigration lawyers accept referrals from Kansas City area domestic violence shelters, assistance programs and Legal Aid offices from as far away as Liberal and Springfield, Missouri. They successfully helped pro bono clients apply for U Visas for victims of violent crimes and helped battered women and children obtain legal status, work authorization and travel documents under the Violence Against Women Act. Clients hailed from countries around the globe including Laos, the Netherlands, Guatemala and Sri Lanka. Mdivani currently serves on the board of governors of the Missouri Bar Association, the KBA, the Earl O’Connor Inn of Court, and Jackson County CASA. She recently completed terms as president of the Kansas Women Attorneys Association, the Association for Women Lawyers of Greater Kansas City and the Human Resource Management Association of Johnson County.